If you are thinking about becoming a first-time Camplify owner, our story may help make up your mind. 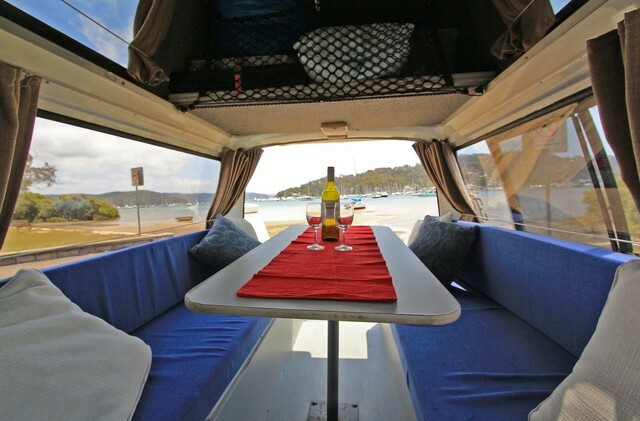 Geoff and I have just started renting Budgie, our budget campervan. Our first booking was on Boxing Day morning. We’ve had three more reservations since then and we definitely recommend you give it a try. 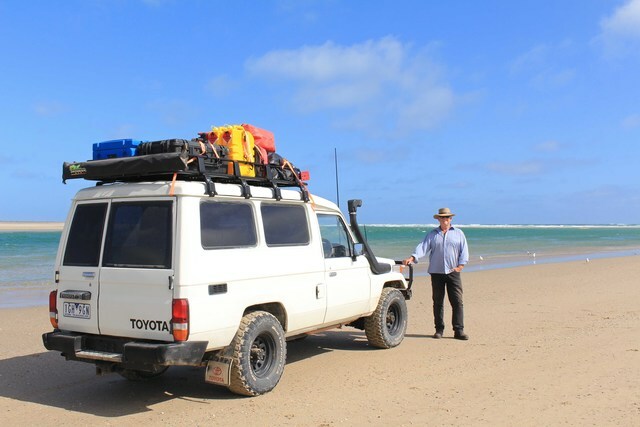 We bought Budgie in 2017 for American friends of ours planning a three-month trip around Australia. It was cheaper than crazy “big-name” campervan rental charges and we didn’t know about Camplify back then. The plan was we would sell it for them when they left. The name was a result of a “lost in translation” moment, when Geoff was regaling them with local slang, including “budgie smugglers”. Between his Aussie accent and their Alaskan ones, they heard budgie “snugglers” instead. It suited their dream of a romantic road trip, and Budgie was born! We wanted everything to be perfect for them, so before they arrived we took Budgie for a shake-out weekend to Dunns Swamp, in the Wollemi National Park. It’s a name that conjures images of the backside of a municipal dump with bad smells and discarded shopping trolleys. We were assured by Swamp-lovers that it was delightful, and Dunns did not disappoint – it’s a great spot on a bend in the river and we loved it. 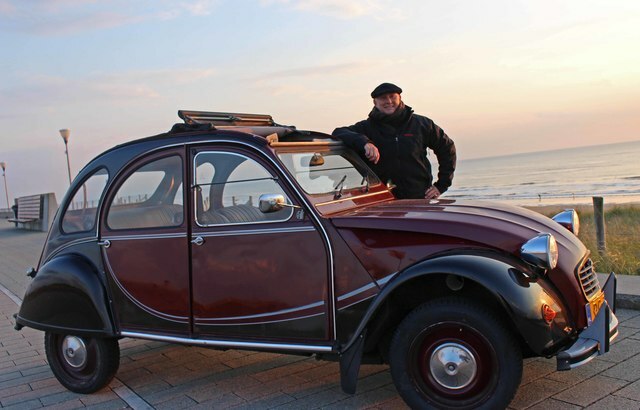 Geoff and I spent 18 months travelling around Europe, living out of a tiny, classic Citroen 2CV with a tent on the back seat; and nine months sleeping in the back of the Toyota Landcruiser Troopy, while travelling around Australia and in between bought a couple of motorbikes. We were in our element, but also often in the elements! But with Budgie it was a breeze – we just pulled up the van and put on the kettle – no more wrestling with tents in the wind, rain or dust. We were sold, and so was Budgie – back to us after our friends went home! Setting up on Camplify has been a smooth and easy process too. The big questions about insurance; pricing; what if it goes wrong; where do I get help are already on the FAQs, but the support team are just a phone call away if you need more. As new owners we were also offered a mentoring session with an experienced owners. Frauke gave us really helpful advice. 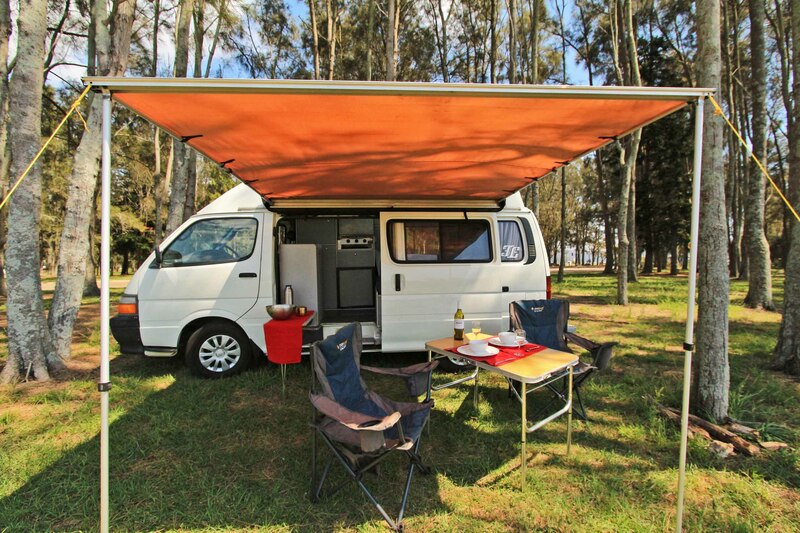 We had made a number of improvements to the campervan for our friends – a huge 2.5m x 2.5m awning, with sidewalls and a zip-in mossie room, plus a 240v solar panel and new pots and pans. Before we started renting we also bought brand new bedding, crockery, cutlery, and a new heavy-duty ‘house’ battery to keep everything running for longer. 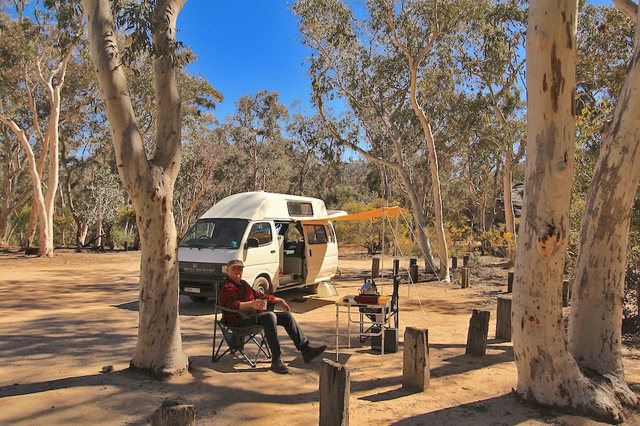 We have spent years camping in vans, tents, and 4x4s – both rented and our own - but this is our first time we have been providing the holiday, rather than taking it. Our goal is for Budgie to give our guests the kind of facilities that we would enjoy, and at no extra cost. We don’t need flash or fancy, but we do want good quality gear, with nice touches and added extras that make the difference between being away and feeling at home. Our first guest Marsha, couldn’t have given us a better start. 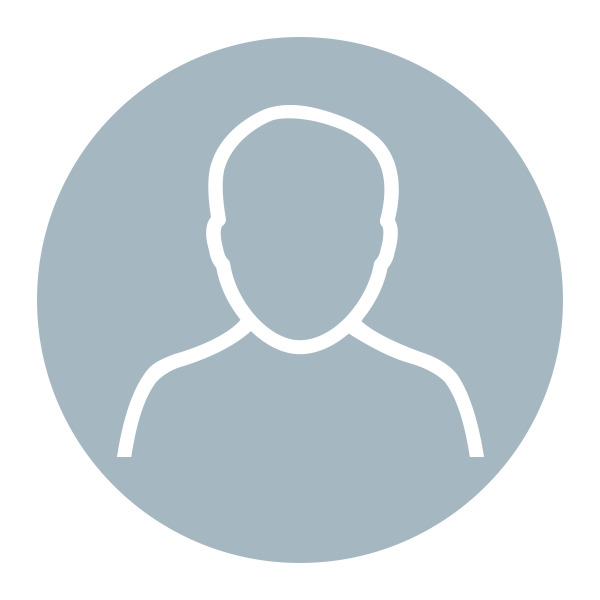 She was a pleasure to communicate with, returned the van in tiptop condition and gave us a five star review – what more could we have hoped for? Our second guest, Michelle, did the same. So far we have had nothing but positive feedback and top ratings. It’s worth noting that those first bookings happened soon after our advert went live, but enquiries tailed off for awhile afterwards. They picked up again when we got our first reviews from Marsha and Michelle. The time it takes to check the van out and back in is also worth bearing in mind. The check-out normally takes Geoff around 40 minutes to run through how the van works. When it comes back it takes him 3-4 hours to clean, wash and reset everything for our next guests. Budgie is an older van, so some of the interior is a little worn, yellowed or sun-damaged, but we make sure it is spotlessly clean when it goes out. 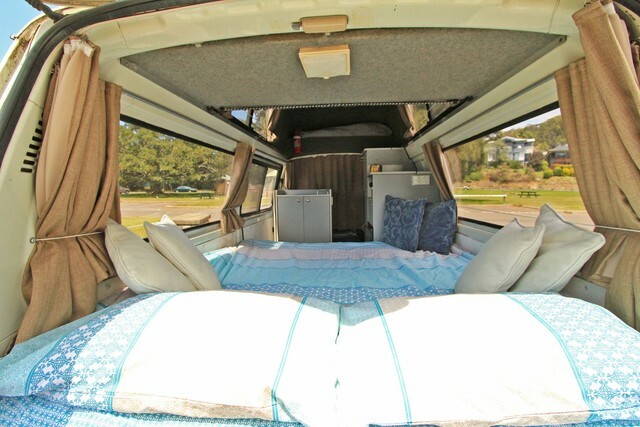 Once you have sent off your first guest you will need to post the details online – including photos of the van - and you will need to repeat the process when it comes back in. It’s not complicated, but you will need to give yourself around 30 minutes for the online check out and back in each time. So far our experience has been very positive. We know that it might not always be this good - things might go wrong with Budgie or we might not get such good guests – but that’s okay and don’t let that put you off. We have been well prepared by Camplify and have seen enough in our own travels to know that sometimes the best laid plans don’t always work out. So far the plan is paying off - Budgie is giving great value holidays to our guests and some very welcome extra income for us and we would strongly encourage you to give it a go.